The HS9 subcompact is a small pistol which packs a bigger punch. When compared in size it is smaller than most subcompacts but has a greater capacity, 16 rounds with mag extension. It has a polymer frame and a forged steel slide. It is a striker fired pistol with grip safety. A safe action trigger coupled with grip safety gives it adequate safety features. However,I believe in manual safety always, nothing wrong with the gun, just my preference. 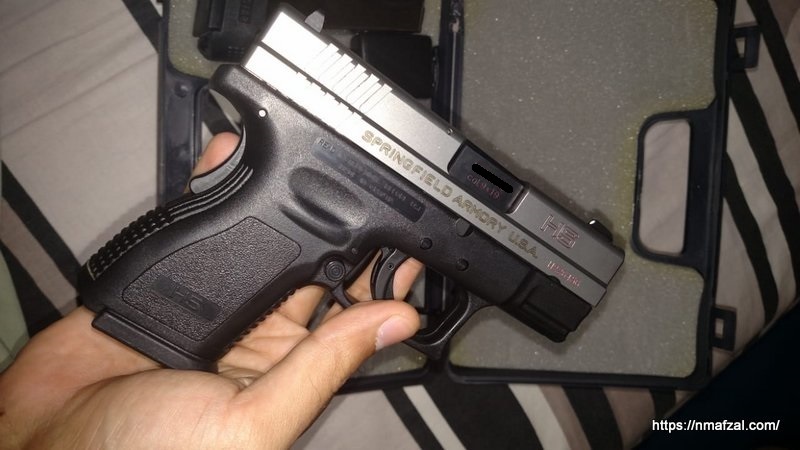 It is made in Croatia, and later Springfield Armory USA made a deal with them and hence it is dubbed as HS9 by Springfield Armory. 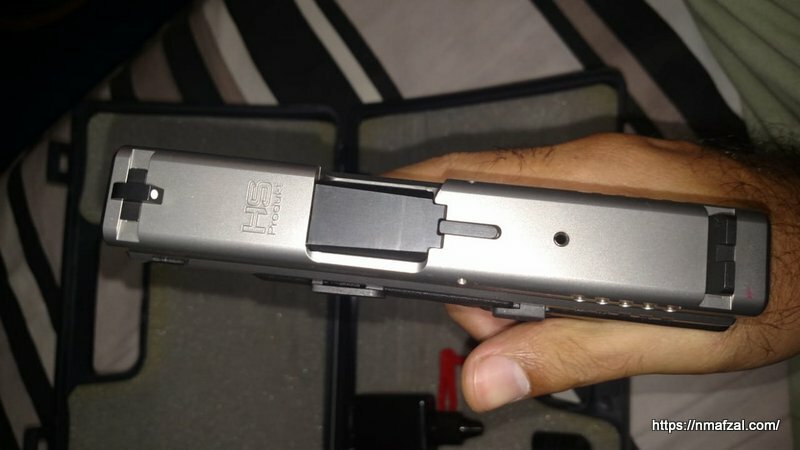 The handgun is impressive by all standards, very good metallurgy, no tooling marks. It is well balanced and gives a good grip. Comes packed in a plastic box. 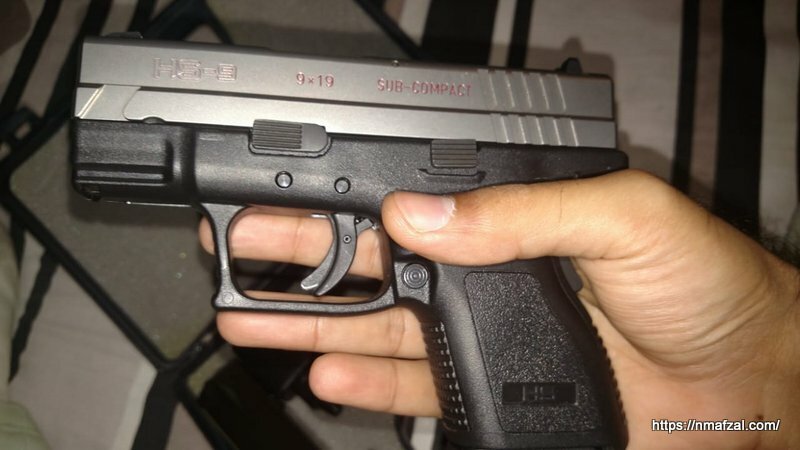 The HS9 subcompact is an impressive pistol. See the excellent quality slide. 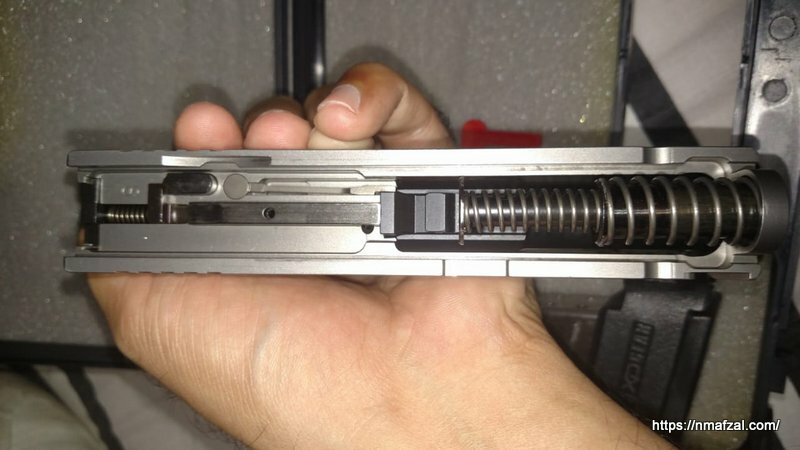 Observe the two stage spring. 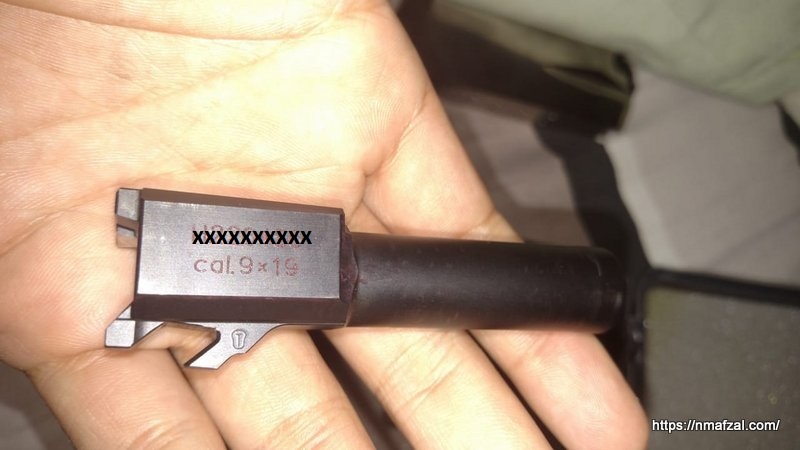 The HS9 has a loaded round (round in the chamber) indicator. The HS9 is a very balanced pistol. The trigger pull of this striker fired handgun is 5.15 lbs. It is very good for concealed carry purposes specially with the 13 round magazine. 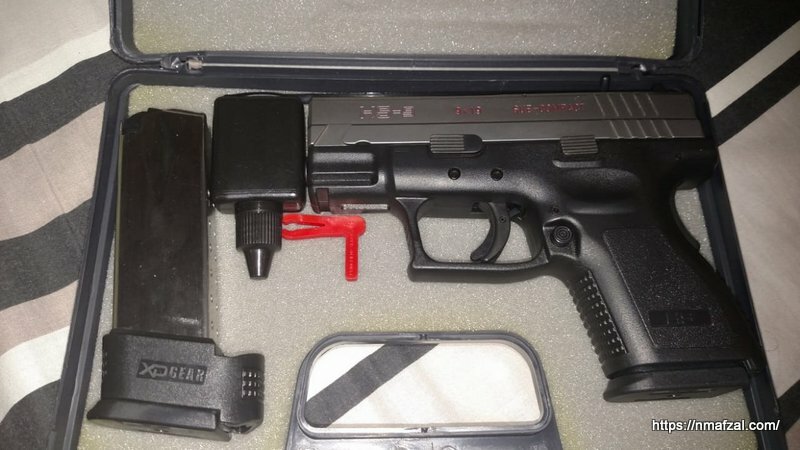 I haven’t seen a subcompact with this good magazine capacity. Just few years ago it was available for around Rs. 150k, now you will have to look really hard for a piece, if available in the 220 ~ 250k range.